Imagine an atomic nucleus as racked up pool balls with little springs attached to each other and the neutrino beam as the cue ball. It’s pretty easy to see what happens if you hit the pool balls with very little energy (almost nothing happens) or a lot of energy (they all break apart). But scientists need to know what happens with neutrinos in that middle energy level. By better understanding how neutrinos interact with the matter all around us, researchers hope to improve our model of how physics — and the universe — works. The information can be used in simulations of other neutrino experiments to correct for the energy that isn’t seen in these interactions and to improve accuracy. This information is crucial both for current neutrino experiments such as NOvA and in preparation for upcoming neutrino oscillation experiments such as the Deep Underground Neutrino Experiment, or DUNE. At the energies required for those projects, the components of the nucleus begin to break apart, producing a slew of different particles and complex data. A lot has to happen to produce MINERvA data. 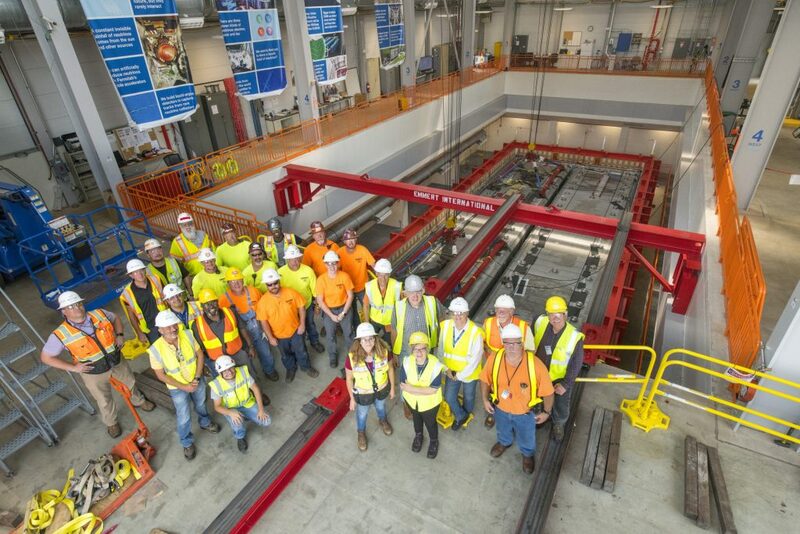 The experiment uses Fermilab’s Main Injector accelerator, which produces protons at energies of over 120 times their rest masses. These protons smash into a carbon target in the NuMI beamline, producing particles called pions that then transform into the desired neutrinos. Sooner or later, a tiny fraction of these neutrinos interact with nuclei in the detector and produce daughter particles. These particles leave the nucleus, causing interactions that produce light in the scintillator detector that scientists record and analyze. 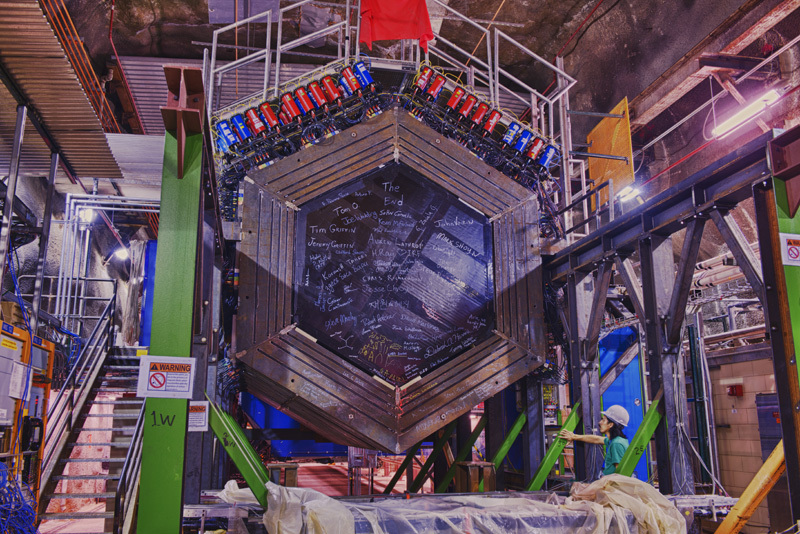 MINERvA has a unique ability to study neutrinos with high precision, primarily because of its detector technology. Those detector components, called scintillator bars, are small. That means physicists can measure neutrino interactions in more detail than a typical neutrino detector, which has to be huge because it has to be located hundreds of miles away from the neutrino source. 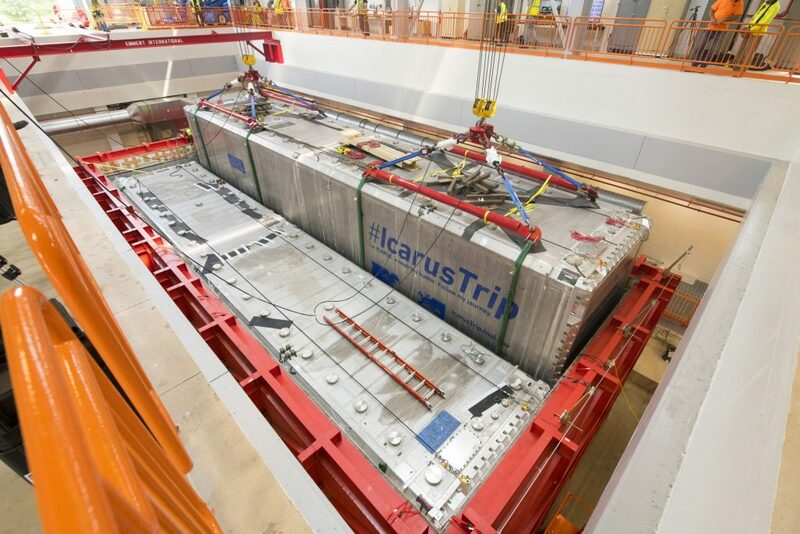 Moving forward, MINERvA will analyze higher-energy neutrinos. By taking data at about 6 GeV of energy instead of the previous 3 GeV, scientists will be able to study many more interactions in the detector.